Camby Low Cost Pharmacy understands that everyone goes through some kind of pain every once in a while. Through custom compounding services available at our pharmacy, you can stop living a life that is being dictated by your pain and start living the way you want! Pain management is vital. Even if you do not have a health condition or you have your disease under control, it can still cause immense pain that prevents you from living life to the fullest. Chronic pain has a number of contributing factors which can make it a challenge to treat compared to acute pain. But, through our personalized treatment services, we can develop a way to help you. One of the more effective treatments for pain management is through the use of medications designed to relieve pain such as NMDA antagonists, anesthetics, anticonvulsants, antiviral agents and antidepressants. We can combine these agents in order to combat the pain you are feeling. We only have to use light concentrations of these medications. Transdermal creams and gels are created in order to provide a high local concentration of medication at the site of the pain (e.g., NSAIDs for improving joint pain), for trigger point applications (e.g., combinations of medications that are used for neuropathic pain), or a base that allows for systemic absorption. Research has shown that there are actually very few restrictions when it comes down to the kind of drug that is going to be incorporated into a compounded transdermal gel. This means medications that are administered through a transdermal application will not be absorbed through the gastrointestinal system and will not go through the first pass hepatic metabolism. This generally means that the side effects that come from an oral administration can be avoided. Camby Low Cost Pharmacy understands that everyone goes through some kind of pain every once in a while. As a matter of fact, when people report health problems or go to the hospital for medical attention, pain is the most common symptom most people say they have. Usually, pain is acute and does not last long, such as a headache that can be caused by stress or muscle strain caused by working too much or getting injured. These can be treated with simple remedies such as the use of a heating pad, aspirin or another kind of analgesic. 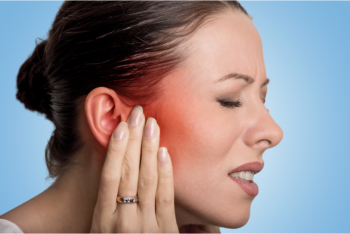 However, sometimes this acute pain can devolve into a chronic pain. This is a pain that returns time and time again and remains once the treatment has worn off. There are many individuals who are living with chronic pain that is debilitating such as fibromyalgia, arthritis and migraines. Most pharmacies sell a variety of pain medications and they are fairly easy to access. However, because of the dosage strength, the dosage format and other kinds of contributing factors, they can cause numerous side effects like stomach irritation, dizziness, and drowsiness. Additionally, many people have difficulty swallowing pills and tablets, which can make it even more difficult to get the treatment you need to stop your pain. You should not have to live with the struggle of chronic pain. Through custom compounding services available at our pharmacy, you can stop living a life that is being dictated by your pain and start living the way you want! We offer many personalized options that are tailor-made to your unique needs. One of the biggest problems about pain medication is the fact that you may have to take many of them to simply address the issues you are facing. However, more often than not, we can compound your many different pain medications into a single capsule or topical treatment for your convenience. Mass produced pain medications are formulated based on the average patient: average pain tolerances, average body weight, and the list goes on. However, Camby Low Cost Pharmacy sees you as a unique individual. Thusw we strive to provide unique medications for your needs. In order to create a treatment that is effective for you, we will take a look at your pain tolerance, your body weight and your symptoms in order to make something that is tailored to the pain that you experience. Camby Low Cost Pharmacy custom compounding services can help provide you with the pain relief that you need today. We make sure to offer you a convenient relief without the many side effects that come with general pain medication. You no longer have to suffer through your chronic pain problems. Contact Camby Low Cost Pharmacy now at 317-548-8015 to find out more about how we can improve your quality of life through personalized and unique compounded pain medication.